Here’s a question for you: If a food is free, organic and widely available, yet takes a considerable amount of time to ‘process’ and after having done so can only be used as an ingredient in things that you may not have otherwise made (therefore forcing the purchase of the other ingredients and making you eat more), doesn’t taste that great and can actually be bought from Amazon for £2.50 for 500g, would you bother? I’ll fill in some details for your contemplation. 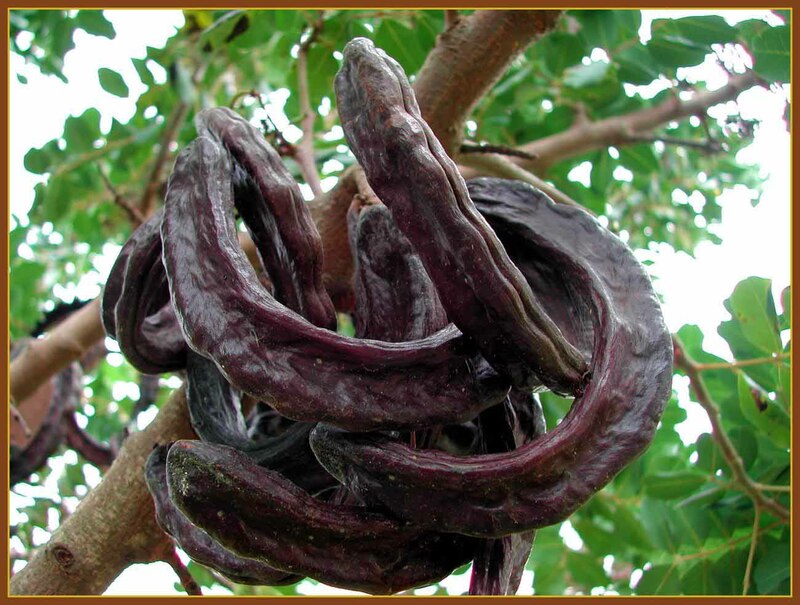 Carob is a hardy old tree that grows without any assistance, decent soil or rain. It doesn’t produce any pods for the first 15 years or so of its existence, but when it does they come in abundance. Spain, Italy and Portugal are the top carob producing countries in the world. The harvesting of these giant pods involves the highly technical process of whacking the tree with a stick and making them fall to the ground. The word ‘carat’ as a measurement of the weight of gold comes from the world carob as the seeds were used a means of weighing. The tree produces these dark brown pods (which are more correctly called legumes) that are used commercially to make something called Locust Bean Gum which is used as a thickener in yogurts and the like. It is what desperate vegans and super healthy people salivate over as a replacement for chocolate convincing themselves that they DON’T MISS IT AT ALL. It tastes nothing like chocolate. It’s brown and can be made into a powder and cooked with, like chocolate, but so can gravy, so the phrase ‘clutching at straws’ springs to mind. Don’t get me wrong, I love a vegan. In fact, I know I ought to be one again (I was one many moons ago), but I would rather not bother with something that replace it with an unsatisfying substitute. I do not eat carob as a substitute for anything (although added to hot milk it does a fine impression of wet concrete), only because its free. So, we’re surrounded by many of these trees, some clearly owned and harvested, whilst many others are just ‘there’ and nobody bothers with them – until we came along. I cannot, I repeat, cannot turn down the potential of free food. Cannot. It is free. We can eat it. It will save us money. It is good for us. There is no logic that I can apply to my utterly natural and deeply rooted foraging self that can resist gathering free vittles. It is irrefutable. It is pure primal nature. I am not far from our hairy stooping ancestors it seems. Cannot. This leaves me conflicted about the carob foraging due to the reasons mentioned in the question above. 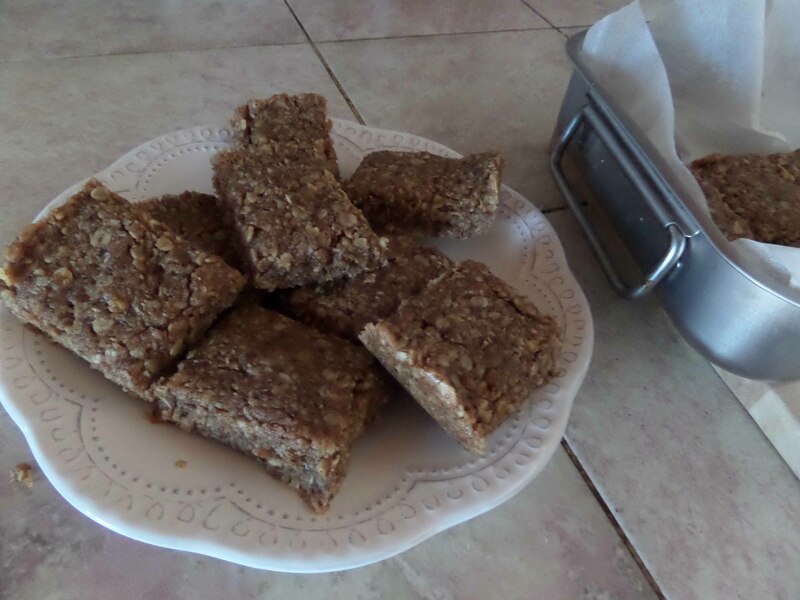 Carob fans, and there are many on the internet, will tell you that carob is better than chocolate and makes ‘the best brownie you have ever tasted in the world!! !’ and other such superlatives. Yeah, well, having eating the stuff (in my vegan days) commercially produced and now my own best efforts, sorry, it’s not. It’s interesting and you can chew on the pods raw like a Mediterranean cow-person with a very healthy tobacco alternative. It’s extremely sweet and has a caramel kick to it, but definitely not chocolate. And as I said above, in order to do anything with it, you have to buy all of these other ingredients and then eat all the bloody carob-based cakes that you have created. In all ways, probably best to just leave them on the tree, go for a bike ride and eat an apple with all that time you’ve saved dealing with the carobs. It was a no-brainer. My evolutionary soul overrides modern day practicalities and economics. I’ve picked as many as I can and every time we drive past a tree where they have all been left to fall on the ground, it hurts, I tell you. Hurts. But I leave them be because I have another massive sack of them in the garage waiting to be processed when we finally run out of all of the carobs which have made their way through the system and await to be turned into sub-standard brownies. 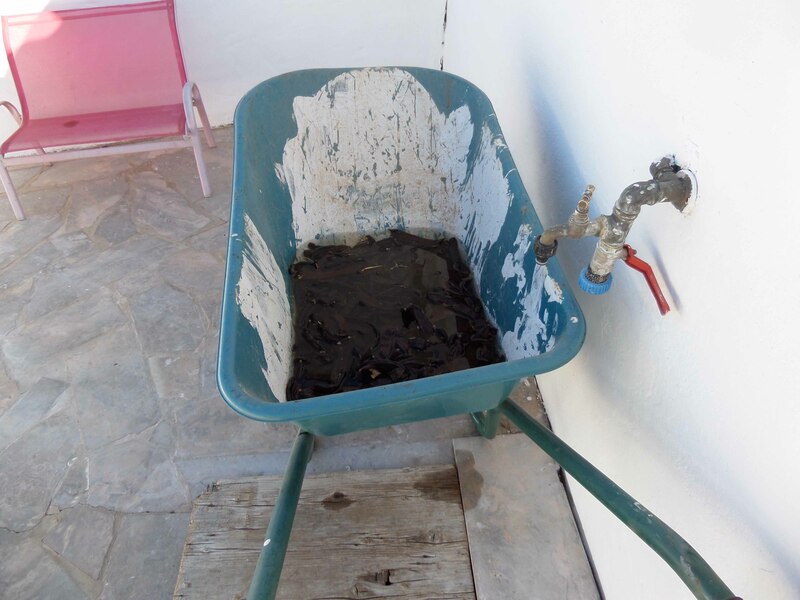 You have to soak them for a day or two in a paint stained wheelbarrow to make them pliable enough to split in half in order to get out all of the rock hard seeds. You then lay them outside in the sun (oven will do) until they are rock hard. After which you chuck them in to a food processor or Nutribullet and they turn into powder which you could have bought from Amazon for a couple of quid. But with added food miles and carbon footprint, of course. Sanctimoniousness is a under-rated quality which tastes a lot better than carob. 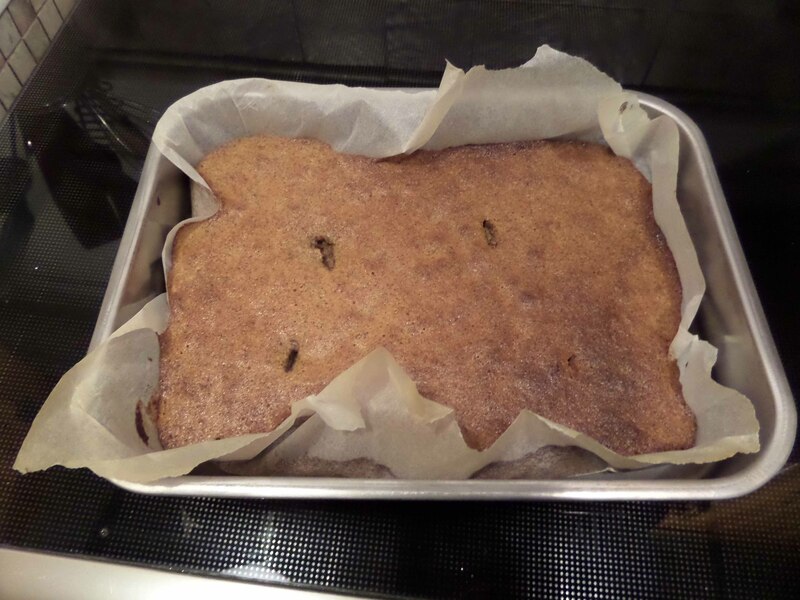 I present to you ‘The best’ Carob Brownies ‘in the world’ (genuine quote) ( not very brown) and some Oaty Chewy Bar things. After eating both of which we wondered, if one had simply not bothered with the carob, would they have suffered in any way? Which is a depressing thought that most of us, perhaps, can identify with which takes us to a place that I’d rather not go. Until then, the sub-standard brownie will remain a part of this household, loved for what it is and nothing more, something which all of us dream of. 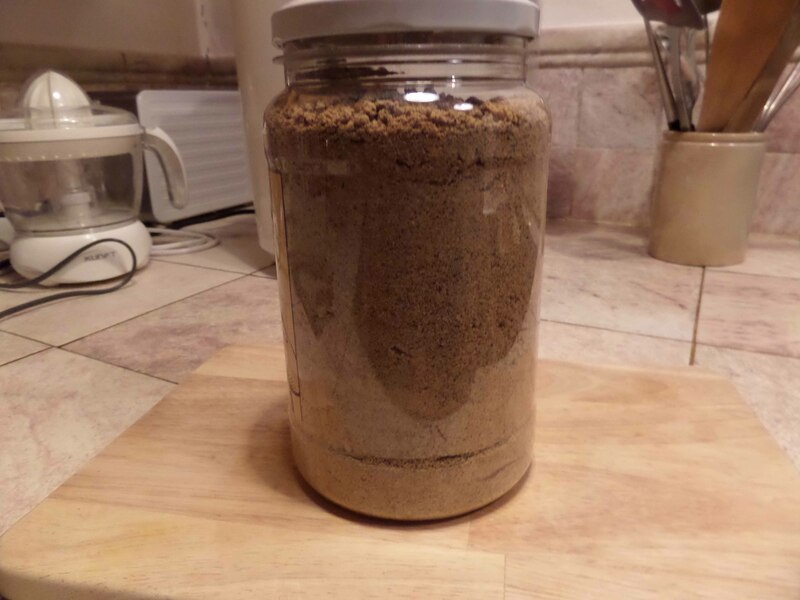 This entry was posted in Food, Living in Rural Portugal and tagged Algarve, carob, carob powder, carob processing. Bookmark the permalink.